A month after a multi-district class action lawsuit against Pfizer’s anti-depressant drug Zoloft was dismissed after a judge excluded the plaintiffs’ expert witnesses, a similar battle is being fought by plaintiffs seeking damages from Pfizer for alleged injuries caused by the company’s cholesterol drug, Lipitor. As was the case in the Zoloft trial, the current litigation focuses on standards of qualifications for experts, and could impact future mass-tort litigation against drug companies. Plaintiff attorneys representing a multi-district class action litigation made up of more than 3,100 lawsuits over Pfizer’s OTC cholesterol drug Lipitor are petitioning a federal court of appeals to overturn a lower court decision excluding expert witnesses. 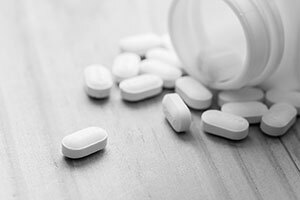 According to the Lipitor plaintiff’s lead attorneys, a lower federal court judge erred in striking several expert witnesses who could have connected use of Lipitor with diabetes in female patients. The experts, one of whom was similarly dismissed in the Zoloft decision in June, relied on statistical analysis of available data on Lipitor use and diabetes diagnoses in order to advance the plaintiff’s argument that the cholesterol drug had serious health side effects. Nicholas Jewell, a professor of biostatistics at the University of California – Berkeley who provided expert testimony in the Zoloft trial which arguably demonstrated a statistically significant link between Lipitor and diabetes, was dismissed due to methodology concerns. Just as with his testimony in the Zoloft trial, the federal judge had issues with Jewell’s methodology, citing concerns that the work was inconsistent in its statistical techniques. Judge Richard Gergel also dismissed another plaintiff causation expert, Dr. Sonal Singh, who is an internist and associate professor at the University of Massachusetts Medical School. Gergel found Singh’s inability to show a statistically significant connection to diabetes when patients took doses of less than 80 milligrams to be fatal to his testimony, and thus ruled him ineligible. The plaintiff’s appeal of Gergel’s expert witness orders argues that the two experts are not only qualified to testify, but that they used reliable statistical methodology in order to show a link between Lipitor and diabetes. Amicus briefs submitted by professors who are experts in statistical analysis have been submitted to the appeals court to aid the case for reversing Gergel’s decision and permitting causation testimony from Jewell and Singh. At the other side of the litigation stands Pfizer, whose attorneys have responded to the appeal with the same arguments which were successful in the Zoloft litigation: that the plaintiff’s experts are not qualified, and judges should rely on heightened standards for expert witness qualification. Pfizer maintains that the plaintiffs “failed to produce the required reliable expert evidence that Lipitor caused their alleged injuries,” and successfully argued to Judge Gergel that the statistical analysis presented by Jewell and Singh was insufficient in both methodology and conclusion. On appeal, Pfizer will continue to push for a high standard of review for judges who operate as evidentiary gatekeepers under the Daubert approach — an argument which has worked for them throughout both the Zoloft and Lipitor litigation. Should the Court of Appeals for the 4th Circuit agree with Pfizer and take the same approach as the 3rd Circuit did in the Zoloft litigation, thousands of Lipitor plaintiffs will have their cases dismissed before trial. As with the Zoloft case, the Lipitor litigation will represent another important and impactful legal skirmish over standards for expert witnesses. The Daubert standard of expert witness review asks judges to be gatekeepers of testimony, and typically provides them a great deal of decision-making latitude in the process. As a result, litigants will often push for a standard of review — either broad or strict — which supports their side, both of which have theoretical merit. Higher standards for review of experts would allow judges to dismiss testimony if they are uncertain that the methodology is reliable or the expert is qualified, which protects the legal system from unscientific and unreliable methodology. However, there are concerns that judges — who are commonly not well versed in statistics, science, or any other of a variety of fields that experts represent — can make critical errors by dismissing an expert based on a misunderstanding of the work which went into generating the proposed testimony. The challenge of finding a balance between keeping bad science out and allowing good science in plays out regularly in courtrooms, with high profile litigation like the Lipitor and Zoloft cases serving as bellwethers for future mass-drug lawsuits. LinkedIn Colin Holloway is an attorney operating in the Washington DC area. He is a graduate of Carnegie Mellon University and Emory University School of law, and has practice experience in criminal defense, personal injury litigation, mediation, and employment law.